The leader of the Indigenous People of Biafra, Director of Radio Biafra and Biafra Television, Mazi Nnamdi kanu in his hometown addressed the Jewish community in Biafra and Africa who gathered in his resident at Afara-Ukwu Ibeku in Umuahia, Abia state Biafra Land to observe the holy day of Shabbat, to worship Chukwu Okike Abiama (God) and to pray for the restoration of Biafra. The special Shabbat day started on Friday evening May 26th, 2017 and ended on Saturday May 27th, the holy Shabbat day. Nnamdi kanu in the midst of these religious faithful expressed his profound gratitude to God and to the members of the Jewish community present therein. He also displayed a high level of excitement for being in the midst of his brethren particularly in his home which he said is the first in history of his family and since he came back from the Nigerian prison where he was detained for almost two years without trial. He also asserted that he was dreaming of a day when such an epoch event will take place in his abode but loo and behold it happened by His grace. His Jewish brethren both men, women and children were in their great numbers as they prayed for him and for the restoration of Biafra. After the prayer section, Mazi Nnamdi kanu with his father H.R.H Israel Kanu (Ezeudo) welcomed the Jewish community and Mazi Nnamdi Kanu said "Father I thank you for this great day, the holy day of yours. We will worship you in a synagogue Temple made of no block or cement. Father, I was not born to be rich, politician or scienentist but to restore Biafra. I did not say we are restructuring Nigeria or implementing Aburi but restoring Biafra". That is the total exit of Biafra from Nigeria thereby restoring the kingdom of God on earth. He continued "God you have been leading us all this while, please continue to lead and guide us. 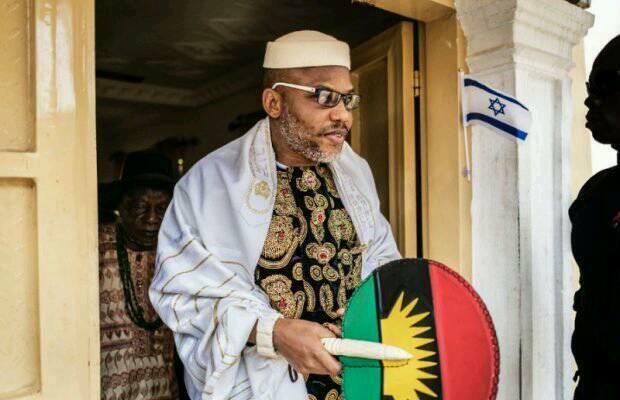 Remove any obstacle within us and restore your kingdom Biafra on this earth". After, he concluded by urging everyone to obey the order to Sit at Home and equally asked for evangelism on the sit at home in respect to our fallen heroes. He also urged the congregation to remember the reason why the fallen heroes died, saying they defended our lives and our land. He also commended the doggedness and resoluteness of IPOB in the struggle for Biafra restoration saying that "Before we came there were none like us and after us there will be none like us". "We shall remember them because their death can not be in vain and we shall restore Biafra so that they shall have rest in the great beyond ". However, the members of the Jewish community were overwhelmed with happiness as they pledged loyalty to his able leadership and declared their unflinching support to the restoration of Biafra in that they will double up efforts to making sure that Biafra is restored. I love this man. Long live Biafra. Long live IPOB. 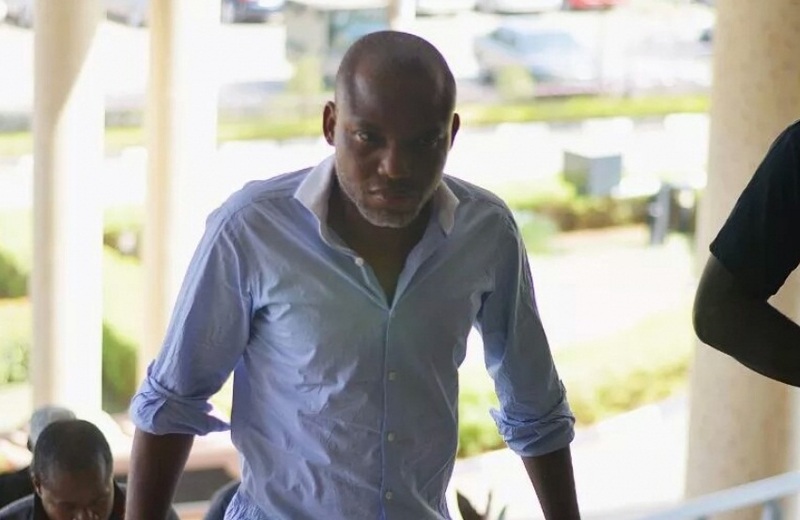 Long live Nnamdi Kanu.